Uluru is known as the spiritual heart of Australia. This unmissable red rock monolith protrudes from the nondescript desert plain in dramatic fashion, evoking an audible gasp when I cast eyes it for the first time. In fact my jaw was on the red dusty ground. I’d seen photographs of Uluru (formerly known as “Ayers Rock”) since I was a young ‘un and neglected visiting it. Instead I roamed all corners of the world, while leaving Australia’s outback, my relative backyard, unexplored. I was determined to remedy this injustice in 2018. 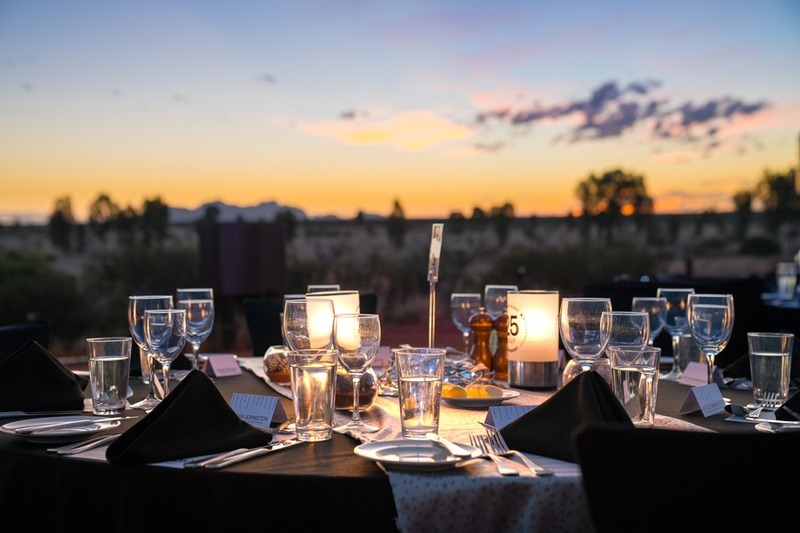 So recently I visited Ayers Rock Resort to celebrate the 25th anniversary of the iconic Sounds of Silence dining experience. This was Australia’s first dining-under-the-stars experience, and has stood the test of time. Having experienced Uluru firsthand, now I recommend it to all Australians and international tourists as a must-see destination right up there with the Sydney Opera House, Victoria’s Great Ocean Road, and Queensland’s Great Barrier Reef. Flying in is the most popular option. There’s direct flights available to Ayers Rock (AYQ) from Sydney, Melbourne, Cairns and Alice Springs (and Brisbane as of August 2018). These flights are relatively affordable, but other departure points will typically go through Alice Springs and cost a little more. I flew direct from Sydney with Virgin Australia. Be sure to check out the latest flight prices on Skyscanner. Tip: Don’t fly into Alice Springs and expect a quick drive to Uluru – it’s 463km (288 miles), about a 4.5-5 hour drive (on a sealed highway). You’re better off flying into AYQ if you’re short on time. If you want to get around Uluru and the surrounding region on your own, picking up a rental car will be the easiest option. Rental cars are available at Ayers Rock Airport and Ayers Rock Resort. Even though there are 3 operators, it’s best to book cars at least 21 days in advance due to limited availability. Check out the latest car rental prices on RentalCars.com. 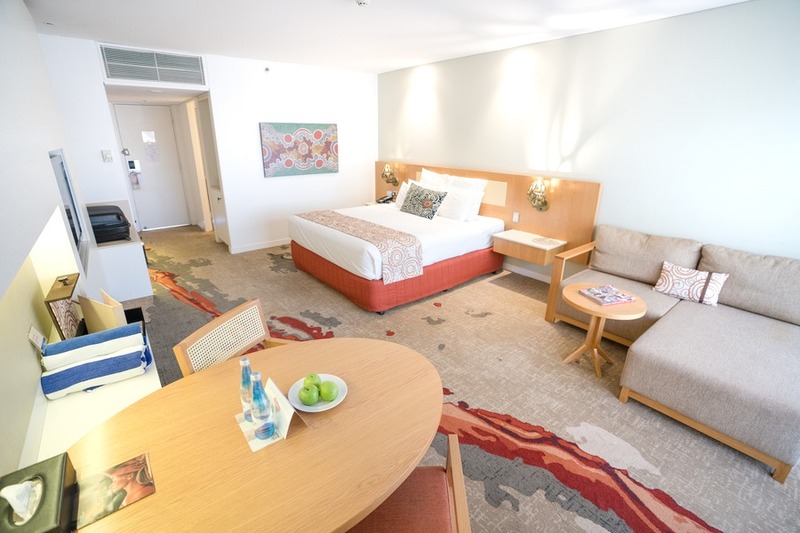 If you’re only planning on doing tours organised by Ayers Rock Resort, then you can skip the rental car. The resort offers complementary coach transfers from and to the airport. These don’t require advance booking, just turn up at the airport and look for the AAT Kings coaches outside the terminal – you can’t miss it. Tip: A free shuttle circles the resort every 20 minutes. Pretty handy when temperatures soar over 40°C (104°F) in the summer months. 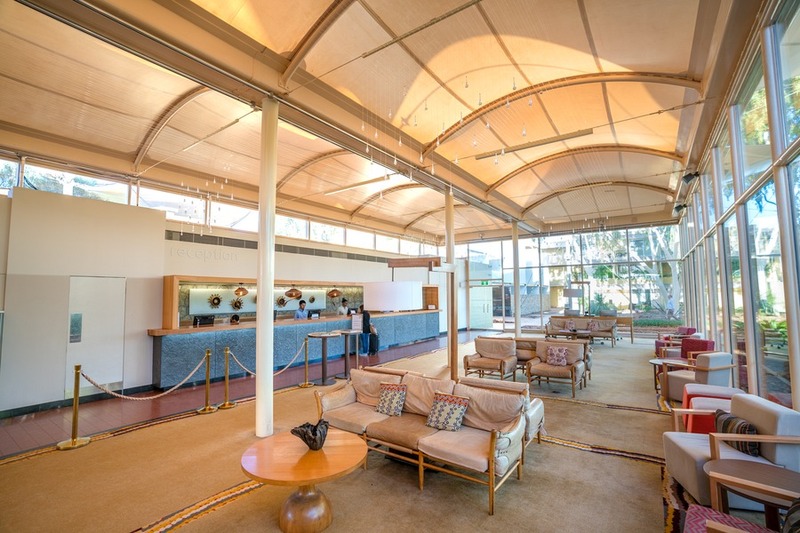 Ayers Rock Resort is pretty much the only option out near Uluru. It’s a series of 5 different properties in the town of Yalara, owned and operated by Voyages. I stayed in the 5-star Sails in the Desert Hotel. 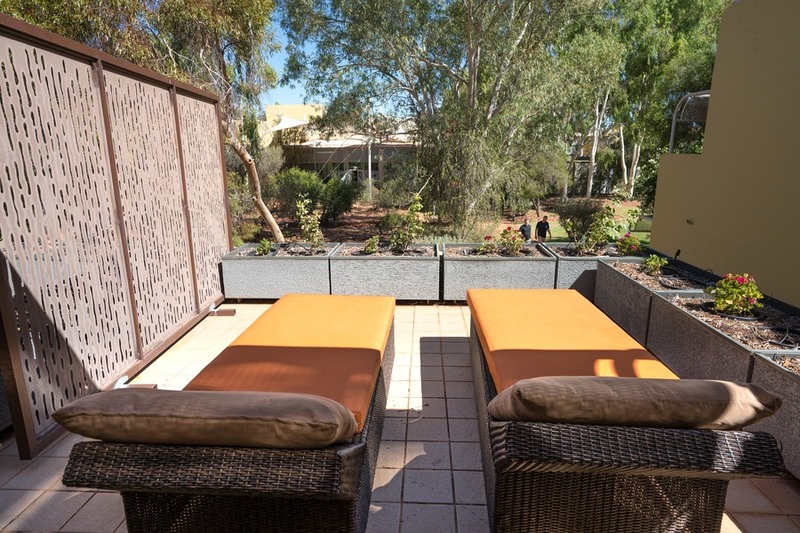 Other accommodation options cater for a wide range of budgets, from the modern Desert Garden Hotel, to Emu Walk Apartments, Outback Pioneer Hotel & Lodge, and Ayers Rock Campground. These are positioned around a small town square with a supermarket, bank, post office, cafe, art gallery, and museum. Sails in the Desert Hotel was very comfortable, with a shared swimming pool and modern dining options. In March a brand new Light Shower installation was unveiled in the lobby, created by Bruce Munro, the same artist behind the Field of Light. The main event! If you’re driving yourself around, there are a few scenic look-outs at various locations. Simply follow the ring-shaped road around Uluru – signage is easy to follow. It’s definitely worth getting up early for the sunrise or staying back for the sunset (subject to park opening hours). 4 walking trails range from 1km (45 mins) to the full 10.4km loop (3.5 hours). Keep in mind to bring plenty of drinking water and make use of the 2 restroom locations near the Mala carpark and Cultural Centre. Tip: If you have a few days up your sleeve, go to the sunset and sunrise look-outs at opposite times of the day to capture dramatic silhouettes. It’s also less busy during peak seasons. Climbing Uluru is a controversial topic. 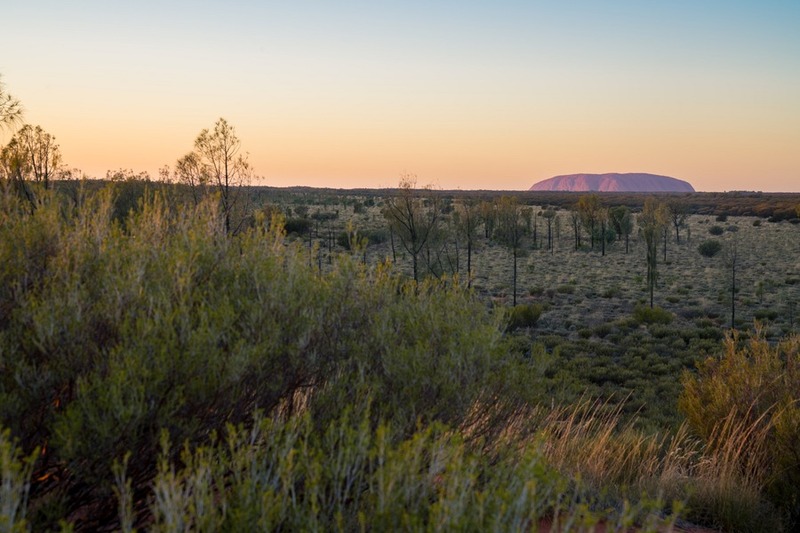 Uluru is a deeply sacred location to the indigenous Anangu people, and out of respect they don’t climb the rock nor wish for visitors to do the same. Over the years, visitors climbing the rock have caused environmental damage, not to mention dozens have been injured and died from falls or heart attacks. Increasingly more visitors are becoming aware of this and opting not to climb out of respect. In 2017 the park’s Board of Management announced that the climb will close permanently on 26 October 2019 as the percentage of visitors undertaking the climb fell below 20%. So while I won’t encourage you to do the climb, if you’re that way inclined, then your time is running out. Keep in mind that many times the climb can be closed due to high winds and high temperatures (over 36°C). If you prefer to have someone else take care of all the details, then this tour is just for you. 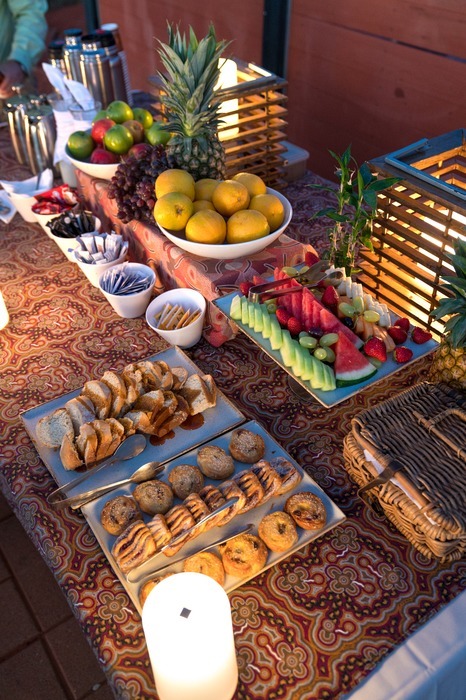 The day started off before dawn with a pick-up from the resort in a custom-built mini-bus, and a light Aussie breakfast while watching the sunrise over Uluru at a private site. Back on the bus, the guide, Toby, lead the group to several sites around Uluru. He was well-versed in local history and intricately described the creation story according to the indigenous Anangu people. In fact, it takes a special tertiary-level training, designed in conjunction with the Anangu, for a guide to be able to work here. This way you can be sure that you only get the most reliable information and assistance. Before returning to the resort, the tour guide drove to the Mutitjulu Waterhole, situated at the foot of Uluru. Here our guide revealed ancient Aboriginal rock art dating back thousands of years. The guide explained the meanings behind symbols and shapes, elaborately recounting Anangu folklore stories that have been shared for many generations. The bright tangerine coloured rock contrasting against the pure blue sky and jade-coloured foliage, looked like a vivid painting come to life. Imagine a colourful garden made of light, gently fading from ochre to green to violet. Under the cover of darkness, 50,000 blooming spheres of light swaying with the breeze’s rhythms, in effortless concerted timing. This is the solar-powered Field of Light, designed by visionary artist Bruce Munro. It is one of those unique landmarks that must be experienced firsthand – any photograph just won’t do it justice. Several different tour options are available, from a basic entry only through to full meals included. 3 tours operate in the evening and 1 at pre-dawn. I witnessed the sun rise over Field of Light, and I left a little piece of my heart in the Australian outback. Tip: This installation has been extended to December 2020, so get here quickly before it’s gone! 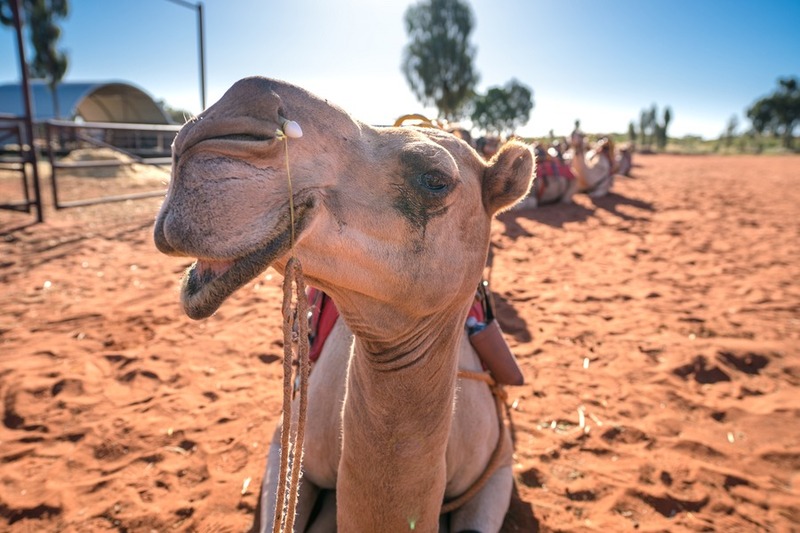 If your sunrise and sunset times are filled with lights, look-outs and dinners, then try the late morning or early afternoon Camel Express tour. These gentle creatures were super friendly and unlike most other camels I’ve met, very clean and didn’t smell at all. The tour operator demonstrated the highest standards of professionalism and safety, with and is held in high regard by locals and the broader tourism industry. On the ground, the Cameleers (tour guides) added a dash of humour to the experience, and ensured every guest enjoyed their day. 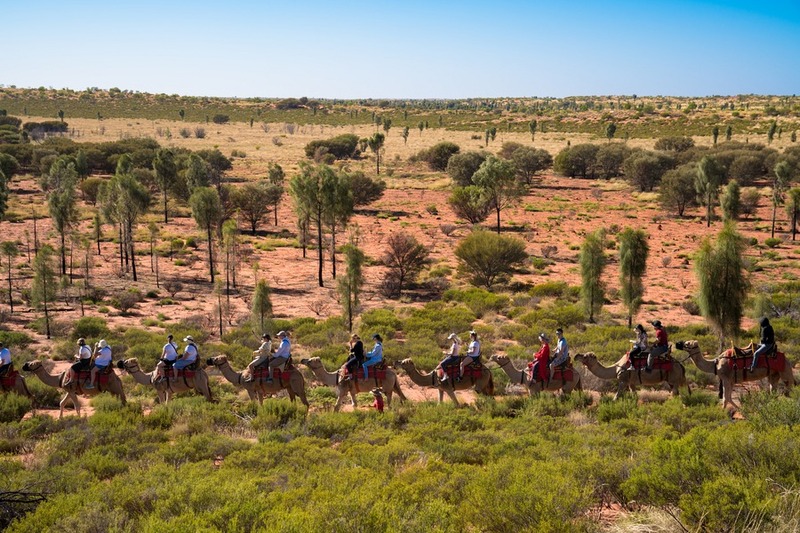 The camel train stopped at strategic locations during the tour to capture stunning photos against the backdrop of Uluru. Tours include free transport to and from the resort. The best things in life are free, and star gazing is one of my favourite pastimes. A perk of being so remote in the Australian outback is there’s very little light pollution, bringing the night’s sky to life with unparalleled visibility. After midnight, I took a walk to the “Uluru Lookout” about 15 minutes southeast of the Sails in the Desert to minimise any effects of the resort’s lights to soak in nature’s luminosity. 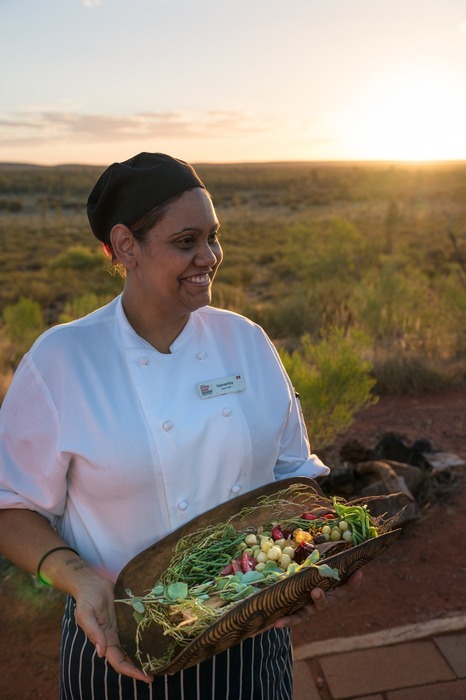 Under the leadership of acclaimed executive chef Vanessa Grace, all the dining options provided by Ayers Rock Resort infuse indigenous ingredients into modern Australian cuisine – not just the high-end dining options. The resort aims to be the bush tucker capital of the world, and as far as I’m concerned have nailed that goal. All guests are welcome to take part in this food revolution, with a free daily activities as part of the “Bush Tucker Journeys” program which introduces participants to local ingredients. Green Ants (scattered on this meringue) are harvested from 1 farm in the Northern Territory and snap frozen on-site. These little beauties cost $700/kg and offer a citrus coriander flavour. Lemon Myrtle leaf dehydrated into a powder and added on top of watermelon. Delish! This spectacular dinner under the stars is what I came all this way for. Putting this anniversary into context, for an envelope-pushing restaurant to survive 25 years in any country, especially Australia, is an exceptional achievement. And then to continue growing stronger and better than ever, is almost unheard of. This is like the unicorn of the culinary world. 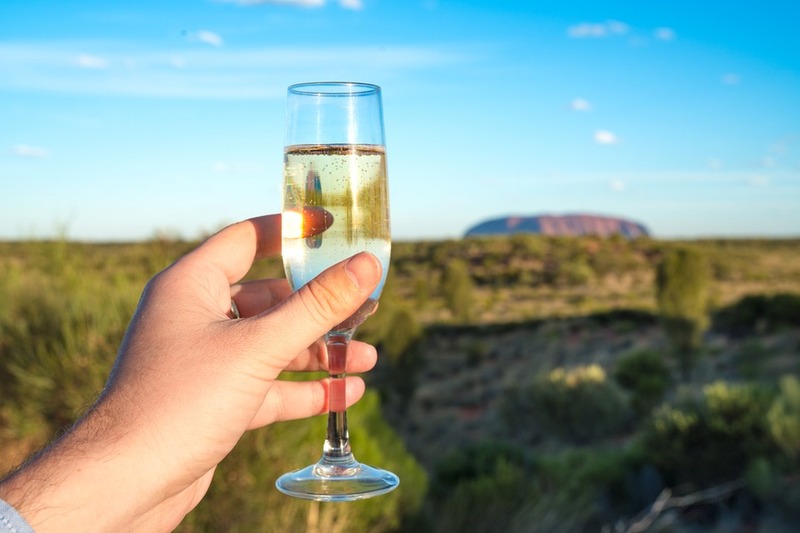 The evening started with canapes and sparkling wine served at a viewpoint overlooking Uluru and Kata Tjuta. As the sun slipped behind the horizon, guests were lead down a path to the dining area. The 3-course meal incorporates native ingredients to deliver a combination of flavours I’ve never experienced anywhere else in the world. If you’re looking for something impress your tastebuds, or those of a loved one, this dinner an easy choice. As the night went on, an expert resident “star talker” dimmed the lights and shared modern and indigenous interpretations about the ultra-clear sparkling constellations above our heads. 2 large telescopes were made available so we could get a closer look at the heavenly bodies. 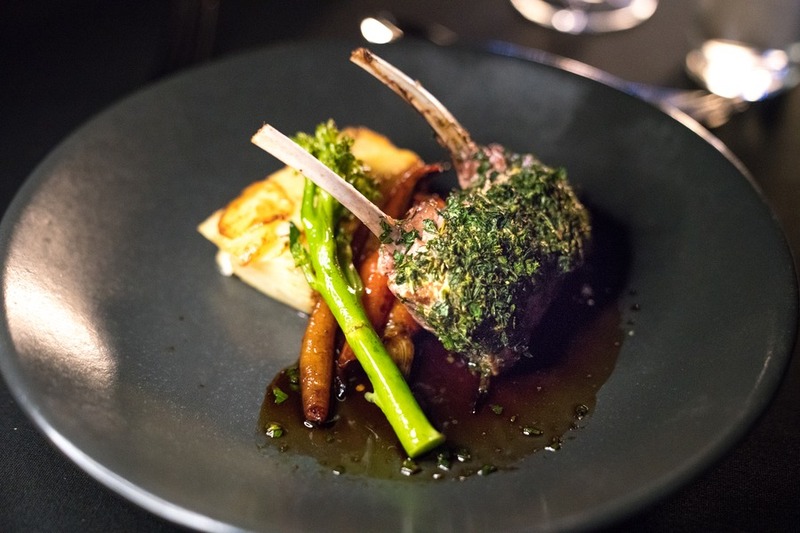 This brand new premium under-the-stars dining experience was launched while I was visiting, and I was one of the lucky first to try. 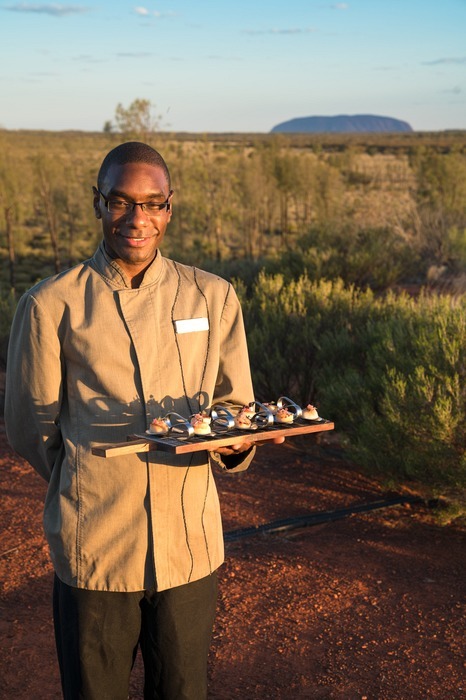 Tali Wiru means “beautiful dune” in the local Anangu language as the dinner is hosted on a secluded dune overlooking Uluru. 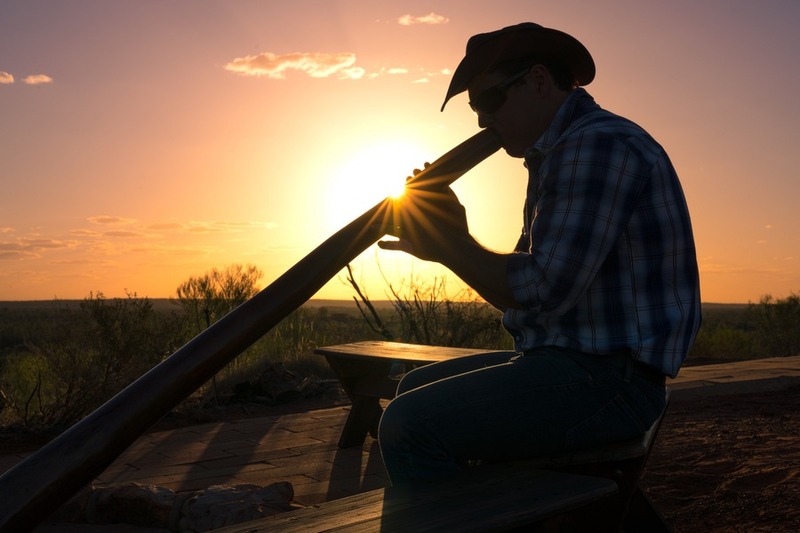 The evening opened to the rhythmic tunes of the didgeridoo, mouth-watering canapes, and an introduction to indigenous ingredients by the executive chef. I’ve eaten at Michelin star restaurants all over the world, and this new dining experience is on par with those. 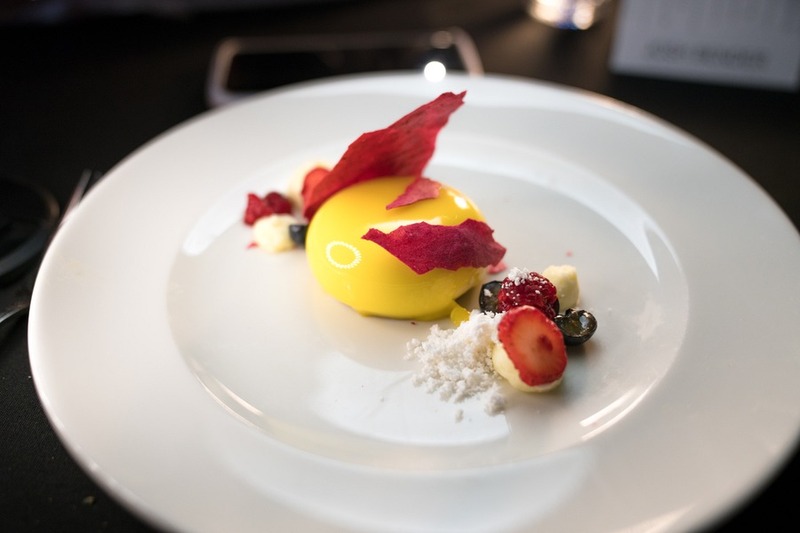 But what makes this 5-course gastronomic adventure even more impressive is how indigenous ingredients are weaved into every course, resulting in mouth-watering flavours that appeal to the eyes as much as the tastebuds. What I found out next blew me away even more – the entire dinner is cooked on-site in a small semi-enclosed kitchen using not much more than fancy barbeques! Vanessa Grace and her team of chefs deserve a standing ovation. I’ll let these pictures do the talking. I enjoyed a light lunch at the Desert Gardens Hotel in their recently refurbished eatery, located a short walking distance from Sails in the Desert Hotel. I could find native flavours even in the creative cocktails being served up. Simply amazing! Anangu Aboriginals are the traditional custodians of this land, having a connection to this region spanning tens of thousands of years. 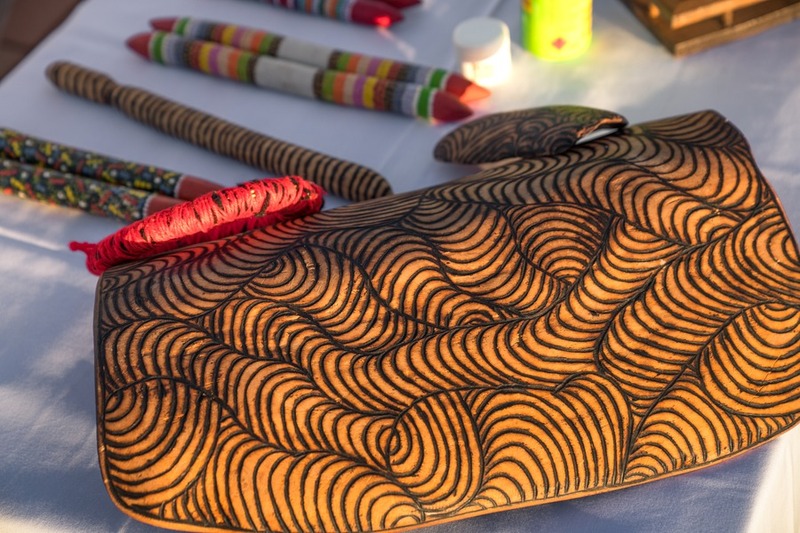 Cultural law and lore is encapsulated in a fascinating concept called Tjukurpa – capsulizing history, religion, people, plants, animals and the land. It’s a very different way of looking at the world, compared to a Western perspective, and it took me a while for me to be able to appreciate the Anangu way of thinking. 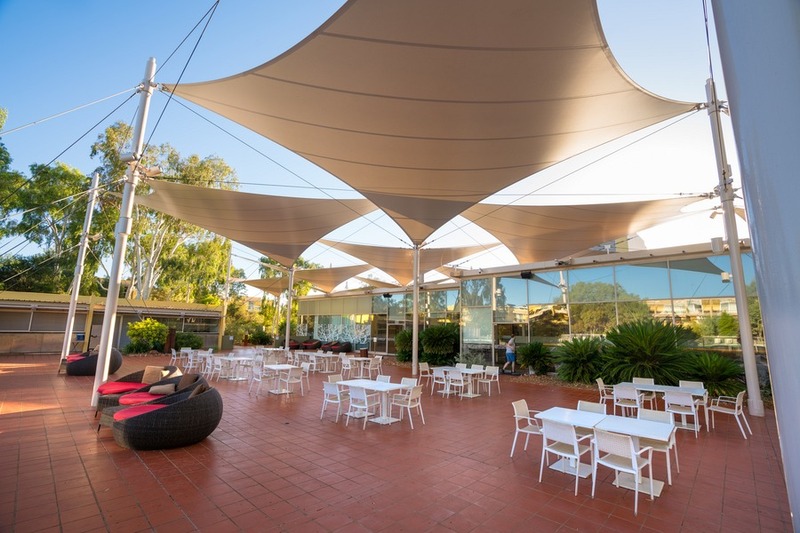 In addition to the tours mentioned above, you can find out more about local Aboriginal arts and traditions in Mulgara Gallery (located at Sails in the Desert Hotel foyer), Mingkiri Arts (located in Desert Gardens Hotel), and Wintjiri Arts and Museum (located next to Desert Gardens Hotel). If you’d like to try your hand at dot painting, a workshop is available. Tip: When you drive around the National Park, you’ll either see signs about (or if you’re on a tour, your guide will point out) the sensitive sacred sites around Uluru. These are not supposed to be photographed out of respect for the Anangu people. The National Park entry pass is AU$25 for 3 days, children (5-15) receive a discount, and 4 and under are free. Check the latest prices. Hold onto it, in case you wish to re-enter the park, as you’ll need to show it on each entry otherwise you’ll need to pay for new passes. If you’re planning on using photos for editorial or commercial purposes, a permit must be obtained in advance. The best time of year to visit is Spring (March-May) and early Autumn (August-Oct). This way it’s not too hot or too cold. But keep in mind the temperatures in the desert can fluctuate a lot, so bring warmer clothing for the evenings just in case. Uluru was a dream come true. I expected to be impressed by mother nature’s awesome spectacle. But what caught me off guard was the creative world-class food on offer in the spiritual heart of Australia. 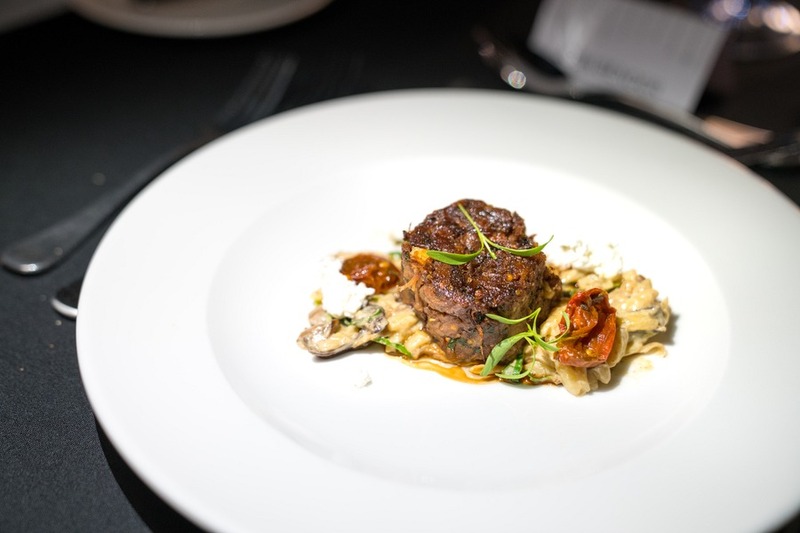 Weaving modern culinary techniques with indigenous ingredients is a genius concept, with perfect execution. One of my Aussie travel bucket list items is now checked off. However, there is an intangible energy about Uluru that keeps tugging at my dreams. I’m quite sure at some point in the future my travels will bring me back to Australia’s red centre. Field of Light looks just stunning, so unreal. Wow I can't wait to go. I think I'd like to drive to experience the distance, and try the camel train for a different experience. Thanks for the great article! Wonderful place, I definitely add this to my bucket list for my incoming vacation in Australia soon. Thank you for sharing.